Summer is winding down! I don’t know about you, but it feels like it has gone much too quickly! Hey don’t despair, there is still time to take the family out for the day! 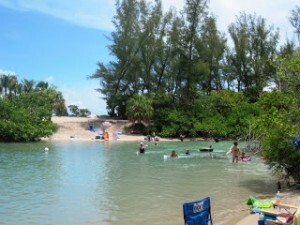 My suggestion this week is Dubois Park in Jupiter! It is this amazing little inlet where the water is never very deep. It is the perfect place to float and enjoy the last few days of summer! Here is our list of Water Play Areas! If you missed them before here is the list of great deals that are available this summer. Some of the passes for South Florida Museums and such are amazing, not to mention free bowling, movies and library programs! 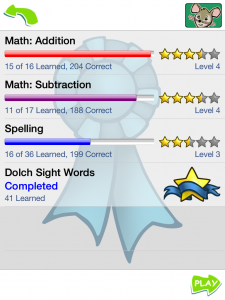 I have been trying to keep my kiddo on target by encouraging some educational Apps like the Teach Me Apps, and Gus on the Go. Become a Partner! If your target audience includes families with kids, then we have the marketing for you! Contact us today and find out how you can become a partner with Keeping Up With Kids! This entry was posted in Uncategorized, Weekly Lists and tagged Boca Raton, Delray Beach, dubois, Fort Lauderdale, jupter, Kids Activities, local events, Pompano Beach, South Florida, swimming hole by Cynthia Buckley. Bookmark the permalink.